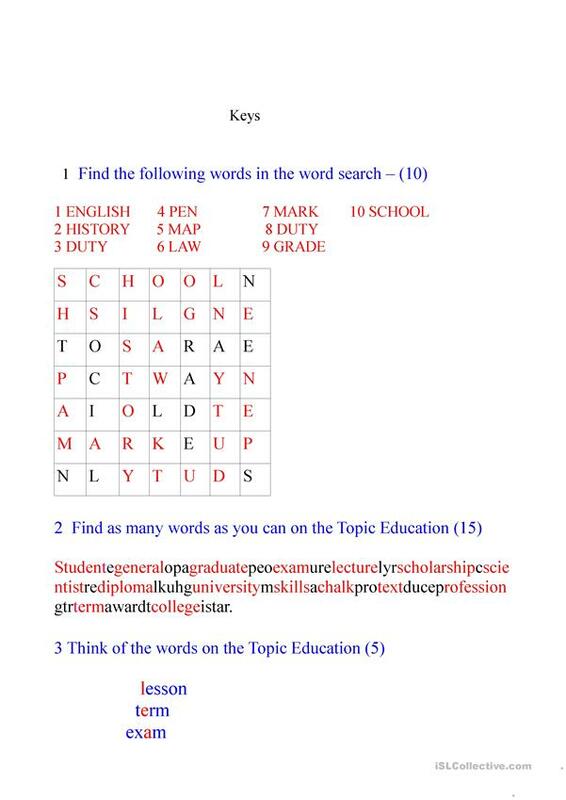 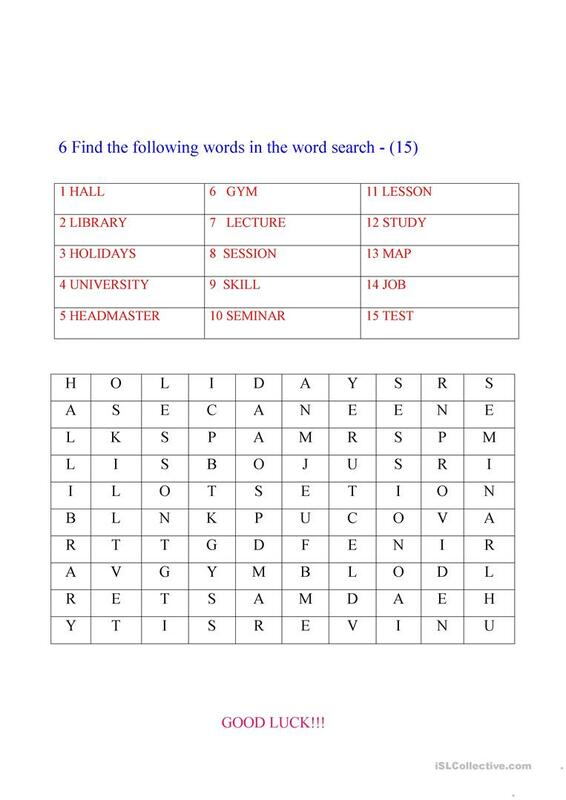 Wordsearch, chain - words on the topic "Education". It is possible to use the tasks as a game while working on the topic and consolidating the words. 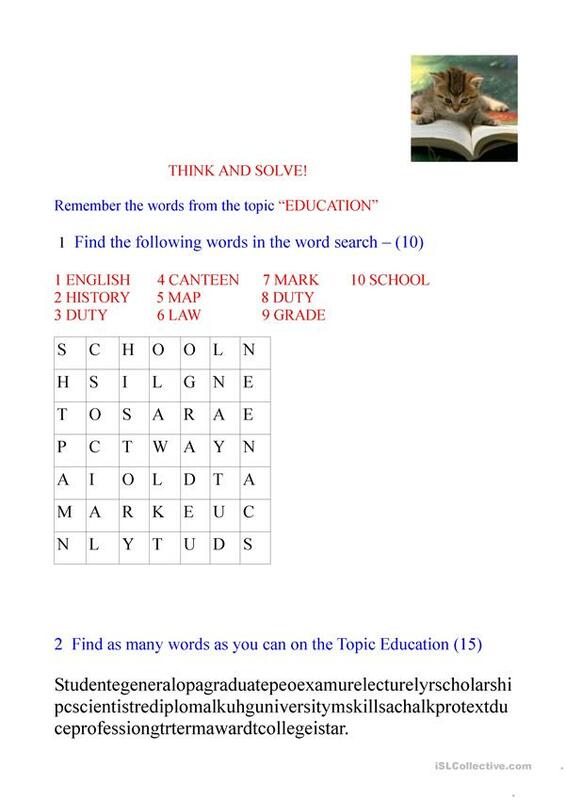 The students can think of their own tasks. 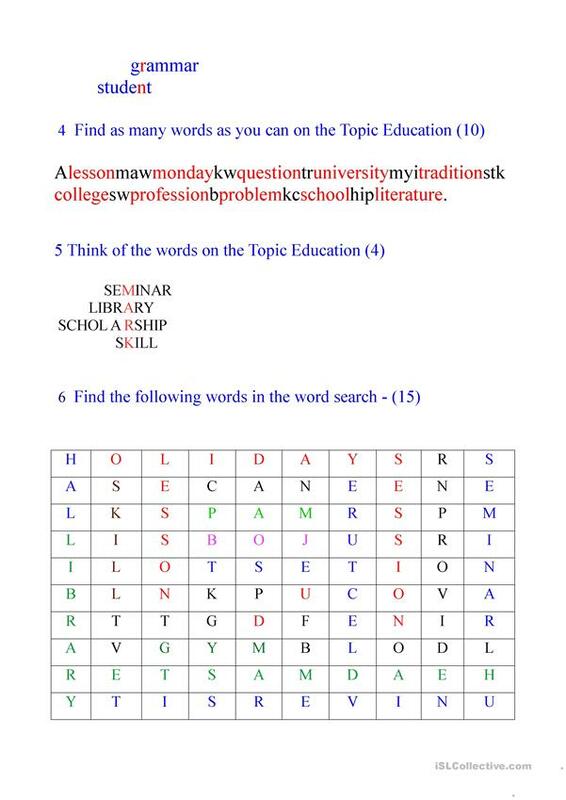 The above printable, downloadable handout is intended for high school students and elementary school students at Elementary (A1), Pre-intermediate (A2) and Intermediate (B1) level. 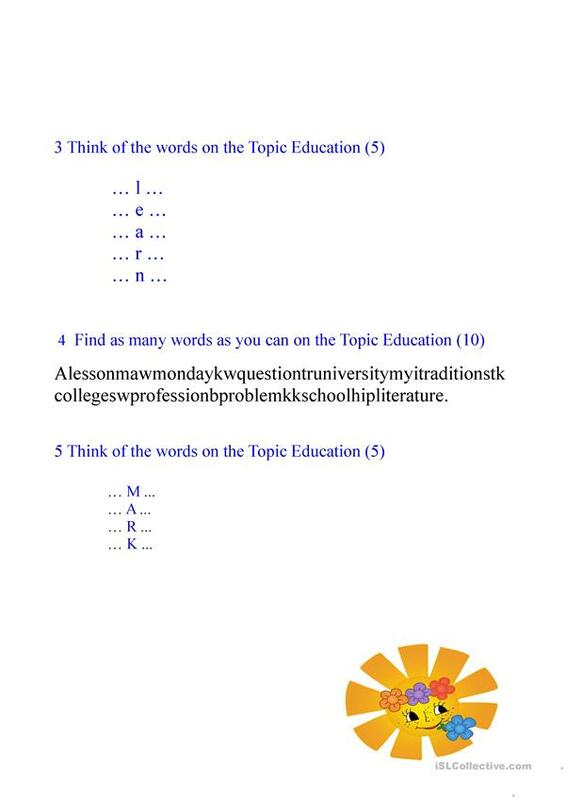 It was designed for improving your learners' Spelling, Speaking, Reading and Writing skills. It features the vocabulary topic of School.